Mix cinnamon and sugar and set aside in bowl. Put powdered sugar in bowl. Mix a few drops of food coloring with frosting and mix in bowl. Dip 1/3 of Fruity Cheerios in cinnamon sugar mix until coated. Do the same with powdered sugar. Dip remaining third in frosting until coated, using a toothpick to get the frosting out of the donut hole. Top with sprinkles. 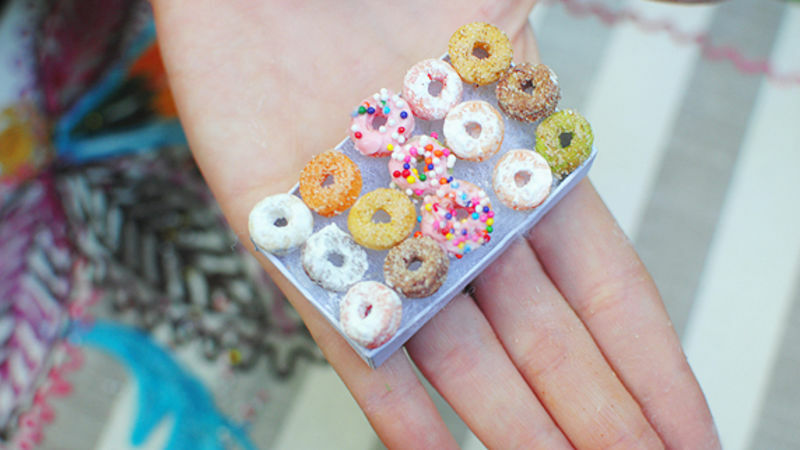 Serve in white miniature boxes, 15 assorted donuts in each.